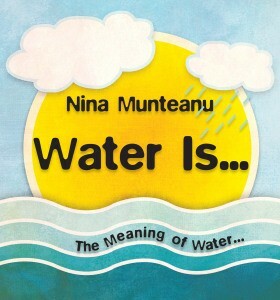 For those of you in the Toronto area and interested in the environment and water, I am hosting a Water Event and book launch of my recently released book “Water Is…” on June 12th (Sunday) at Islington Golf Course (1-5pm) in Etobicoke (near Islington and Dundas W). Just to entice you, we start with a blessing of Mimico Creek–known to be unruly at times–by a Mississauga nation knowledge keeper. That will be followed by a short talk about Mimico watershed by a TRCA naturalist. Then we move inside to mix and meet. Councillor Tovey will talk about the coolest things he is doing about city planning and water. Then we will have some awesome poetry. Tasnim Jivaji will exhibit her water art and bazillion other interesting people will be there … including you. Bring family, friends, anyone who cares about water… Then let Debby know with an RSVP: debby@mdgassociates.com. Writers are encouraged to bring their work and promo material; there will be a show and tell table and plenty of time to mix and share.